Some thoughts based on Cisco’s latest white paper: ”Cisco Cloud Intelligent Network: Prepare Your Network for the Cloud ”. In our times, many companies serve their customers worldwide, 24/7. Constant travels require business people to share updates, emails, data, content, memos, with their peers back to the company’s headquarters. Cloud economics have promised efficiency, innovative business models, reduced operating costs. Clouds are rapidly changing the way of scheduling & doing business. The ultimate challenge will be to unify remote locations & users, all applications and devices used, under a secure Cloud network. IT teams, will be responsible for serving the complicated needs of modern online business operations. No matter where your firm’s offices are located, your clients, or your personnel, the Cloud will be connecting all your latest applications and services, breaking all geographical boundaries. Everything will be channeled & monitored through the enterprise network. In order for the latter to function properly, security will constitute a major factor for assuming that your company’s Cloud network is successful. Amazon provides users with the Amazon Web Services (AWS). Again, security and optimization, will be a major concern for success and for serving huge amounts of traffic. The enterprise network, has to be intelligently optimized before securing the flow of sensitive data between the company and the users, through various devices like their own mobiles, tablets, smartphones, etc. This business paradigm shift, will spur massive public and private clouds. 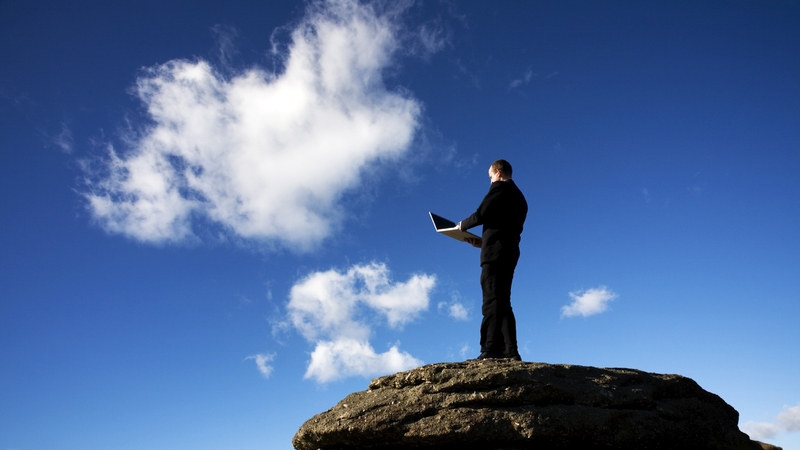 By 2014, around 50% of all the business workloads will be handled via Clouds. Business applications will be moving to the Cloud, thus the need to keep optimizing the availability to its users. All enterprise applications will be accessed & handled through the devices brought by the workers themselves. IT departments will have to adapt to security issues, data prioritization and control. The rising Cloud ecosystem, will demand large amounts of data transfers for videos & virtual dektops. Overall, aiming for high quality when delivering services & applications, will play a key role in securing the Cloud from mis-management, resulting in low quality user experience.